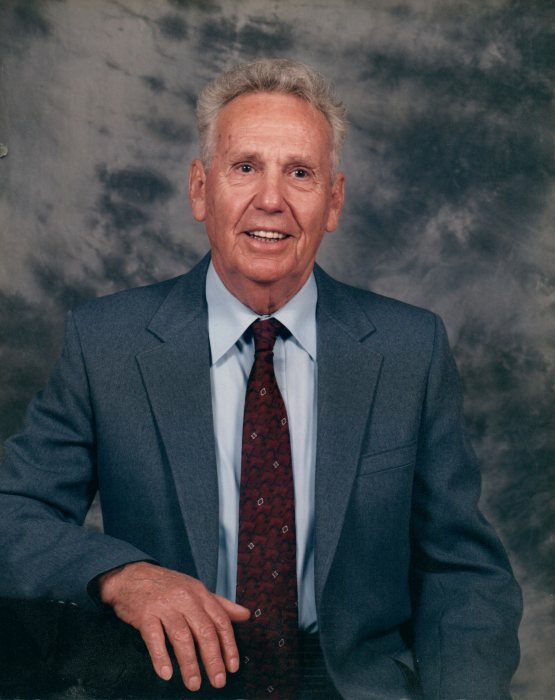 Earl Raybon, 95, a resident of Greenville, AL died Wednesday, March 27, 2019. Funeral Services will be held at 3:00 p.m. on Saturday, March 30, 2019 at Midway Baptist Church with Rev. Bruce Coker and Rev. Jerry Hogwood officiating and Dunklin & Daniels Funeral Home directing. The family will receive friends at the church from 1:00 p.m. until 3:00 p.m. prior to services. Burial will follow at Damascus Baptist Church Cemetery. Earl was born 1923, the youngest of two brothers and a sister to a Butler County Alabama farm family. He grew up there and attended Midway School. Following his brother, he joined the Navy in World War II and served for the duration on an LST ship in the Pacific, stopping in Borneo, various islands and Nagasaki Japan after the bomb was dropped. Earl was a member of Midway Baptist Church. He had a 47 year career as a sawfiler at various lumber mills across the south before retiring and moving back to the family home place on Honoraville Rd in 1988, where he and Fay enjoyed gardening, improving their properties and visiting with their children and grandchildren. Mr. Raybon was preceded in death by his loving wife of almost 70 years, Fay Raybon. He is survived by his sons, Chris Raybon (Adrianne Kahn) and Steve Raybon (Doris); grandchildren, Michael Raybon (Dana), Jill Bresnan (Darin), Julie Fontenot, Pamela Owens, and Andy Raybon; great-grandchildren, Shelby Raybon, Josie Bresnan, Jackson Bresnan, Mariah Peterson, Jonathan Owens, Susannah Owens, Rose Fontenot, Anne-Marie Fontenot; and many nieces and nephews. The family would like to give special thanks to his caregivers who provided such loving attention to Mr. Raybon.